If you see Waves you know you're close to Orewa Beach. 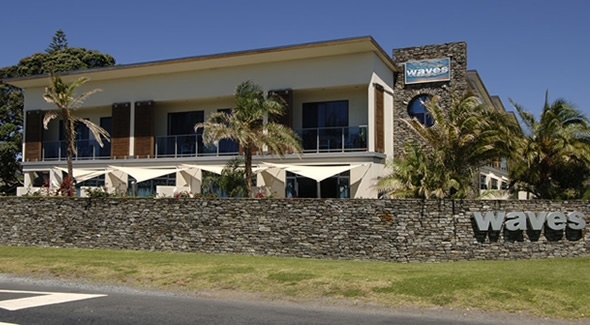 Waves sets the standard for holiday and business accommodation in Orewa. Waves units have been finished to a high standard and feature 20 spacious individual units, including studio rooms, 1-bedroom units and a 2-bedroom unit. All units have a kitchenette with the latest appliances, modern spacious bathrooms and 50+ SKY. Most bathrooms come complete with spa baths, which are an ideal place to soak off the salt after a sun-filled day on beautiful Orewa Beach. We also provide free Newspaper and free unlimited WiFi for guest use the internet.